Description: Rapidly growing, 10-12' vines. Assorted, labeled varieties; 3 varieties, 6 of each. 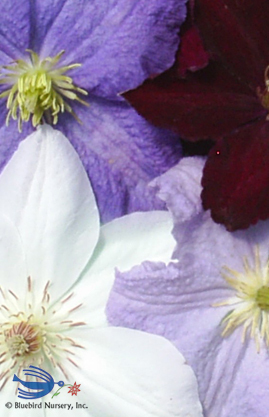 SPECIAL DISCOUNT: Clematis mixes- only $3.95 each if you allow us to make your selection. 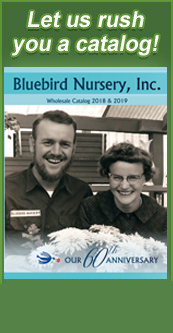 Or choose your own, 3 varieties/flat, from items regularly marked at $4.20 each. Quantities of 5 flats or more will be sorted by half to full flats of a variety unless requested otherwise.